Hope everyone is well this fine Sunday afternoon! Here in Virginia, the air is crisp and football is on! That's what we call good times here at the Bolton household. 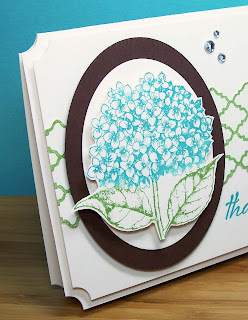 So while I'm cheering for my favorite teams, I worked on this card for the Moxie Fab Tuesday Trigger - Garden Glory! 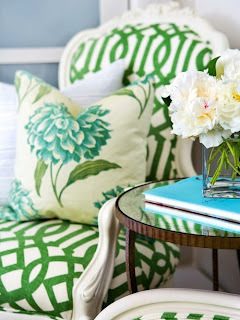 It's this a great inspiration pic? This card started off with one of my favorite Hero Arts stamps. It's a beautiful image and I need to use it more! I stamped that huge bloom and fussy cut it down (I removed two of the bottom leaves because it was a tad too large for the card). I seem to want to stub cut all the corners of my cards lately (love that Corner Chomper). I think the look is interesting without being too ornate. 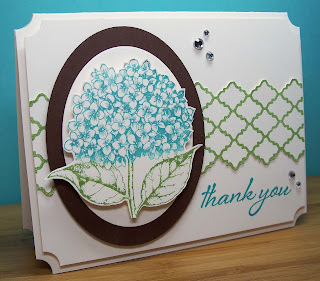 The sentiment I used is from the Papertrey Ink Iconic Images set that I trimmed down to just say "thank you". I added several clear rhinestone jewels to bring in the mirror of the inspiration pic and that's it! Thanks for looking and enjoy the rest of the weekend! Very pretty, and a perfect take on the trigger. Simply gorgeous, JJ! I love how we all see different things in these Trigger pictures - when I read 'mirror,' I had to go back & look at the photo to find it! It's those tiny differences that make the Trigger my very favourite as a challenge. Such a pretty card! That bouquet of flowers is gorgeous! what a wonderful card! love the corners and the gorgeous colors!